A couple move into a new home with their child. We are witness to the collapse of their relationship in the face of the man’s controlling behaviour, emotional abuse and physical violence. Stay provides a challenging insight into one man’s cycle of abuse, the attitudes and beliefs which support it and the impact his behaviours have on his partner and child. 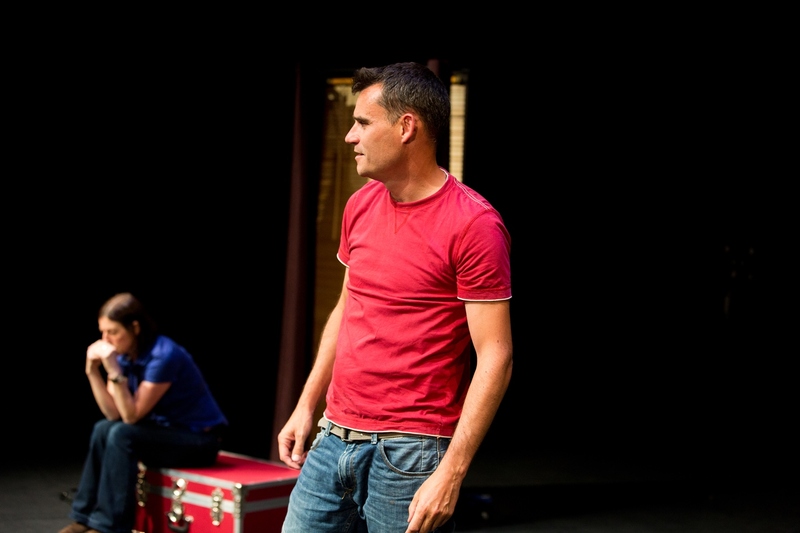 Rigorously researched, Geese Theatre Company initially developed Stay as a performance for domestic violence perpetrators on accredited probation groupwork programmes. The play is now 18 years old and, in that time, has been performed to over 150,000 people, including prison and probation staff, police officers, judges, magistrates, health, education and social care professionals, staff and volunteers from third sector support services and British Forces personnel. The performance aims to provide a challenging insight into one man’s cycle of abuse, the attitudes and beliefs which support it and the impact on the victim. Powerful, dynamic, honest - made me re-think my approach to cases involving domestic violence.